As is the case with any office or court of a country party to the European Patent Convention (EPC) deciding on the revocation of a patent, the Polish Patent Office (PPO) faces a major challenge whenever local regulations do not fully overlap with EPC regulations. Until December 2015 national regulations providing for the revocation of a national patent (also effective in the case of opposition proceedings) differed from the regulations providing for the prerequisites to eliminate a European patent from legal transactions. When adjudicative boards – which adjudicated under the Industrial Property Law on an daily basis to decide whether to maintain a national patent – attempted to revoke a European patent validated in Poland, they had to adjudicate referring to other far more complex prerequisites for revocation arising from Article 138 of the EPC. Apart from the differences in the prerequisites (which were in place until December 2015), European patent owners must also consider the numerous traps which lurk when revoking a patent validated in Poland is attempted. Among the many issues key to the life sciences sector are owners’ inability to limit the scope of protection to renounce some of the claims and a planned amendment in this regard; the matter of priority and relevant competence of the national authority; and questions of extremely important legal interest. The prerequisites to revoking a national patent under the Industrial Property Law before its 2015 amendment were confined to demonstrating that the statutory requirements necessary to be granted a patent were not satisfied. In other words, a patent could be revoked and an opposition could be filed merely if the patent lacked novelty, inventive step and industrial application. the patent must have been granted for an invention not covered by the content of the application or original application, thus adapting the prerequisites to revoke a national patent (Article 138 of the EPC). The question of legal interest refers only to the request for revocation filed six months from the date that the decision on the grant of a patent is published. The opposing party is exempt from the obligation to demonstrate its legal interest if proceedings (ie, opposition) are initiated within six months (nine months before the EPO) of the decision’s publication. The requirement to demonstrate legal interest in the proceedings to revoke a patent is an ‘invention’ exclusive to Poland. This specific type of proceeding (which is an additional way to eliminate a patent from transactions) is an instrument characteristic of proceedings before the PPO. Revocation proceedings may apply to both European and Polish patents. Legal interest is understood to denote the existence of a relationship of a substantive character between a given regulatory standard and the situation of a specific subject, with the said relationship being to the effect that when the patent is valid (and other market participants are limited), it influences the (legal and economic) situation of the specific subject. Legal interest is necessary for proceedings to be initiated and any lack thereof results in the discontinuation of proceedings. Legal interest must be confirmed by the facts about a given entrepreneur. The interest must be direct, concrete, individual and, above all, real. The most common prerequisite quoted to justify legal interest is the fact of an entrepreneur applying for marketing authorisation of a medication, where the medication is identical in nature to the invention protected by the patent (which is specific to pharmaceutical patents). Demonstrating legal interest consists in demonstrating that the existence of the patent is an obstacle to its competitor (under the Constitution or the Act on the Freedom of Business). The PPO believes that legal interest should exist both on the day that the request for revocation is filed and as soon as the decision is issued. In the case of patents for medication and use, it is not always necessary to have a marketing authorisation; it might be enough to demonstrate efforts made in this direction. However, each case is assessed individually. The influence of the EPC on the Industrial Property Law can be seen in the context of the allegation of a clear and exhaustive disclosure of an invention, as well as in amendments not extending beyond the original disclosure. The PPO is increasingly aware and has spotted imperfections in Polish regulations and adapted them to align with those binding before the EPO, thus facilitating owners working in local and regional regulations. A classic example of how requesting parties tried to implement EPC regulations in Polish law (before the 2015 amendment) is evidence that the invention was disclosed insufficiently. However, since such an allegation cannot be formulated, the prerequisite was adapted by arguing that the invention is not supported by the description and that the prerequisite of industrial application is not satisfied. Admittedly, this is a clever measure which is often used in pending proceedings. However, when amending the regulations on December 1 2015 the legislature imposed no transitional provisions to unequivocally regulate that the new revocation prerequisites would apply solely to the patents applied for after the date that the amended Article 89 of the Industrial Property Law entered into force. The prerequisites to assess whether a patent is duly granted are, in principle, assessed by the legal status on the date of the patent application. Since revocation prerequisites correspond to the prerequisites for being granted a patent, the inventor (applicant) – having been granted a patent – should not be surprised by the necessity to protect that patent in the event that revocation proceedings are initiated against it and on the basis of regulations which were absent at the time and could therefore not be complied with. Since there is no certainty as to the regulations in this respect, proceedings are now pending before the PPO in which patent owners are faced with allegations. It is impossible for applications to be amended in accordance with the new provisions. The lack of transitional provisions is a significant problem for the PPO and a major obstacle for patent owners. The PPO’s first decisions are still to come. The PPO admits that this prerequisite should be reviewed and a ‘problem and solution’ approach (developed by the EPO) applied, since it is tempting to assess the prerequisite subjectively. However, it is evident that the assessment of whether solutions are non-obvious indicates a technical problem and that the solution is obvious for a person skilled in the art in light of the referred-to documents. What is missing is an in-depth analysis on the choice of the second document or an incentive for a person skilled in the art to refer - to that document and a logical explanation of how the information disclosed therein is connected. If the ‘problem and solution’ approach is applied incorrectly, it could result in an allegation being erroneously defined and any initiated proceedings may be defective. The question of how the inventive step is assessed is further spiced up by the approach – already entrenched in the Polish courts (especially the Supreme Administrative Court) – whereby several documents can be considered the closest prior art, contradicting the EPO’s approach where only one document can constitute the closest state of the art. There is no patent limitation under the Industrial Property Law. In the case of litigation proceedings (following the request for revocation or opposition), the owner is not allowed to finally shape its right. However, in proceedings before the EPO, separate limitation proceedings exist under Article 105a of the EPC and, furthermore, the owner may file both main and auxiliary requests during the course of opposition proceedings, defining the final scope of protection. The limitation procedure is restricted to a certain extent (referred to in Article 105a(2)). Such a request may not be filed by the owner while opposition proceedings are pending, but the owner is always given a choice. Thus, it is important to remember that the latter is not the case before the PPO and at least where national patents are attempted to be limited, unless an amendment entails the surrender of the whole category of the invention in a manner not requiring the PPO to interfere in the content of the patent claims. The owner can decide about the scope of its right by filing a request in accordance with what is allowed by the Code of Administrative procedure (ie, a request to change the decision on the grant of a patent). In dismissing such requests, the PPO quotes Article 37 of the Industrial Property Law and takes the stance that any changes to the scope of protection may be introduced only before the decision on the grant of a patent is issued. By arguing that there is no such instrument in the legal system at this moment, the misconception of the PPO and the Voivodship Administrative Courts (VAC) is addressed, enabling the owner to finally decide on the scope of protection for its invention after the patent is granted. The VAC decision is awaited. Further amendments to the Industrial Property Law regulations are underway. One of the expected amendments is a major change to an issue that is the source of much controversy among patent attorneys. Although the fate of the amendment is not yet sealed, the change is still worthy of discussion. New wording in Article 89 of the law is expected, which would entitle the owner to limit the patent by changing patent claims. Relevant requests will be reviewed by an expert appointed by the PPO. In spite of the PPO’s extremely rigorous practice hitherto, it may transpire that “this is doable” and Article 37 of the law, although hated by some, will not stay in the way. Since no justification for the draft amendment has been disclosed, it is difficult to garner the legislature’s intentions with such a restriction curbing enthusiasm. This is because the act of initiating revocation (or opposition) proceedings is the moment that the owner must consider whether to limit the patent and avoid proceedings. It is difficult to ascertain the point of having the right to limit a patent when the owner has no reason to do so. The legislature has blocked one of the most expected changes, which was commonly used before the EPO, and further far-reaching changes are likely. One of the more problematic situations in litigation proceedings occurs when the PPO dismisses requests for a stay of litigation proceedings despite pending proceedings to change the decision to grant a patent. However, the latest VAC decisions offer hope for the future. A similar situation can be observed where parallel proceedings revoke a Polish patent and a European patent (opposition before EPO). Both the PPO and VAC have yet to see a relationship of a ‘preliminary’ character in such instances (ie, a relationship that makes the decision of one authority conditional on the decision of another, with the former being impossible without the latter). A strict interpretation of these provisions regulated by the Code of Administrative Procedure has prevented the PPO from staying national proceedings because of parallel proceedings before the EPO in respect of the same patent, which threatens conflicting decisions being issued in respect of the same patent. In extreme cases, such actions could have astonishing or even absurd consequences (eg, where an amendment is made to a European patent, which should in principle be followed by an amendment to the patent validated in Poland, but the patent is revoked in Poland). The PPO is eager to review requests for stays of national proceedings (or at least for an adjournment of proceedings) until the proceedings before the EPO are completed. the uncertainty of foreign entrepreneurs whose business plans must be specially adjusted to the Polish market. Attorneys are there to help, so that in the thick of national and regional provisions proceedings can be guided to ensure that the owner’s right survives for as long as possible. This is all a matter of deliberate, long-term process strategy. Piotr Godlewski joined JWP Patent and Trademark Attorneys in 2008 and became head of the life sciences patents department. He is a qualified European patent attorney specialising in protecting inventions in life sciences, pharmaceuticals and biotechnology, as well as patent searches, patent infringement cases and national, European and Patent Cooperation Treaty patent filings. Mr Godlewski graduated from the Faculty of Biotechnology at the Warsaw University of Life Sciences and obtained a diploma in industrial property law. 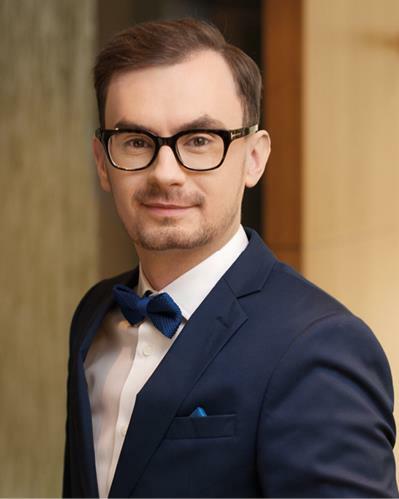 A member of the Polish Chamber of Patent Attorneys and the International Federation of Intellectual Property Attorneys, he is also a frequent speaker at educational conferences and author of many publications on IP protection. 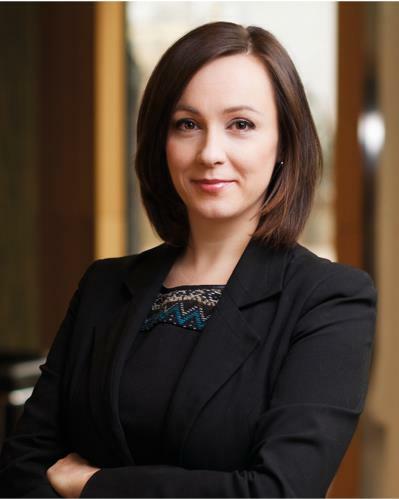 Helena Gajek specialises in IP litigation – particularly in patent, industrial design and trademark infringement, as well as unfair competition matters – before the Polish Patent Office, the EU Intellectual Property Office and the common and administrative courts. She drafts and negotiates contracts and prepares legal opinions in IP-related cases. She also deals with strategic counselling. She is experienced in patent litigation involving parties from the life sciences and pharmaceutical sectors, especially in disputes between originators and generic companies.